PRD Services offer a wide range of new and reconditioned 1000L IBC’s (Intermediate bulk containers) including new, re-manufactures, IBC tanks, containers, cages, cut offs, waste and reconditioned IBCs. It’s simple….We Buy and sell IBC’s to support our clients needs. 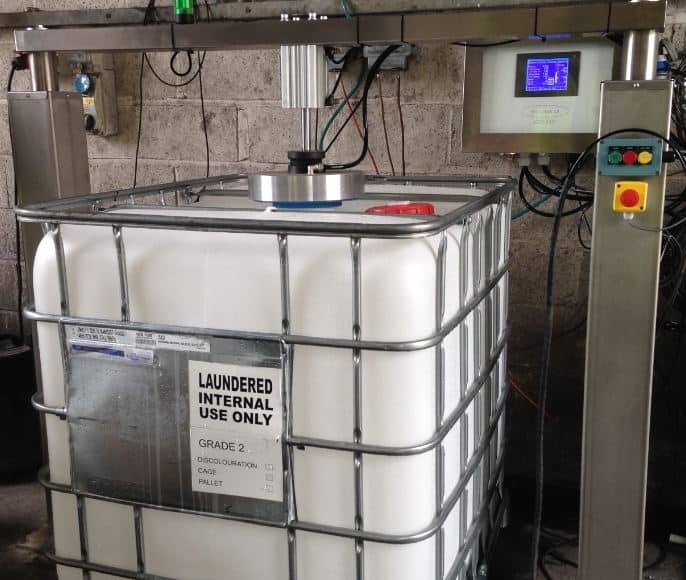 We ensure that all laundered IBC’s are thoroughly cleaned and quality checked meaning that you can rely on a consistently high-level product again and again with PRD Services. PRD Services offer reconditioned IBC’s that are a cost-effective water or liquid storage solution, and for many years have been supplying businesses in the food, chemical and industrial sector. All containers have been professionally cleaned, meaning all residual product has been removed, and have been chemically cleaned as well as leak tested. 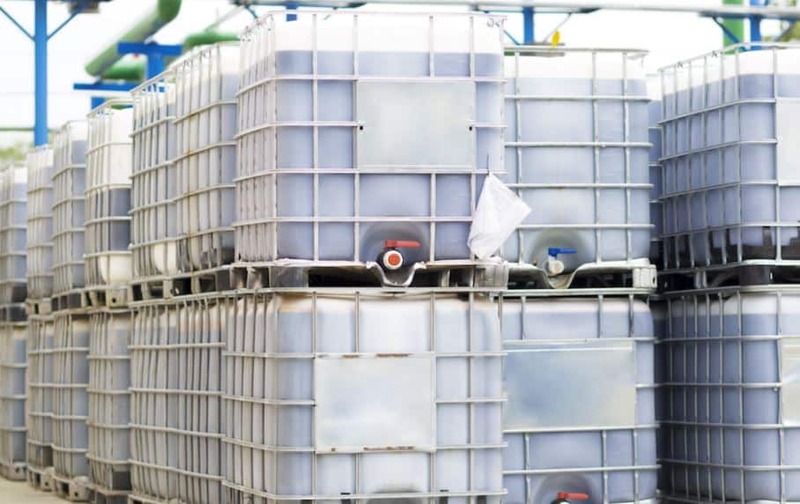 Intermediate bulk containers (IBC’s) are reusable industrial containers, they are designed for the safe transportation and storage of bulk liquids. IBC’s are easily stack-able containers, that can be mounted on a pallet that is designed to be moved using a forklift or pallet jack. With a tubular galvanized steel frame around the container they guarantee stability. They also fit perfectly into the grooves of a plastic pallet; both below and above the container which enables an exact positioning space-saving storage. All of our reconditioned IBC’s are Laundered and fully pressure tested using state of the art equipment. We fill the IBC with air under pressure, the machine then monitors the pressure for 90 seconds. If the pressure drops, this means that the IBC is leaking and is then rejected by the team. 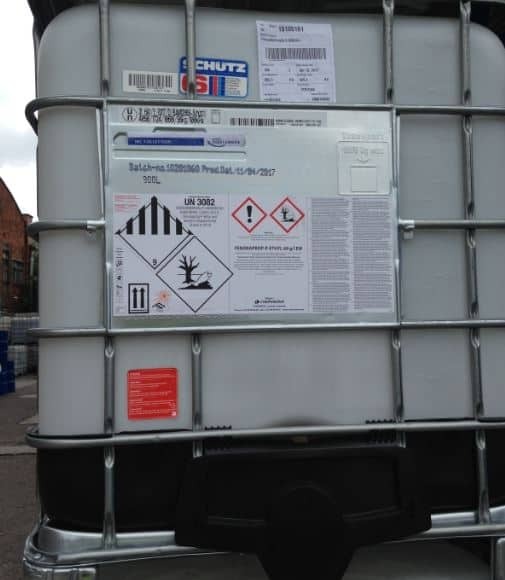 This allows us to test reconditioned and rebottled IBCs to ensure they are fit for re-use prior to dispatch. There is also an attachment which tests the valve of the IBC in the same way. PRD Services can provide collection, recycling and disposal of all your IBC’s, including difficult and hazardous waste storage. Due to our clients demands we keep good stock levels available and with our U.K collection and delivery service we can provide a streamlined service for both purchase and supply of IBC’s. PRD Services are happy to provide like for like quotes to highlight how cost competitive we are, without reducing the quality of our products and service.